Dental emergencies are both painful and terrifying. It’s possible for trauma, grinding, eating hard foods, etc. to lead to fractured teeth. At this stage, treatment is always required to alleviate the pain and to ensure your teeth have the best chances of survival. For many, being at a Dental Office is far from ideal. That is why at Bainbridge Dental in Burnaby, we offer several sedation options for those who are extremely nervous or undergoing major dental procedures. We strive to have you feel very safe and relaxed so that you can forget about your worries while we take care of your dental emergency. While most nervous patients only require a minor sedation that keeps them conscious, it is not uncommon for some to fall asleep during treatment, simply because they are so relaxed! Most dental emergencies escalate quickly, so do not wait any longer than you have to..  Please contact Bainbridge Dental in Burnaby at: (604) 420-2545 or simply drop into our dental office. We accept new patients and walk-ins. For a knocked-out permanent or adult tooth, keep it moist at all times. If you can, try placing the tooth back in the socket without touching the root. If that’s not possible, place it in between your cheek and gums, in milk, or use a tooth preservation product that has the CDA Seal of Acceptance. Then, get to Bainbridge Dental on Lougheed Hwy in Burnaby right away. When you have a dental emergency, it’s important to visit our Burnaby Dental Office on Lougheed Hwy or an emergency room as soon as possible. At Bainbridge Dental Office, our Burnaby Dentists reserve time in their daily schedules for emergency patients. Call our Burnaby Dental Office at (604) 420-2545 and provide as much detail as possible about your dental emergency. Thank you Bainbridge for taking care of my dental emergency, I truly appreciate it. I had a cracked tooth and was in a lot of pain. You took me in and Dr. Dhir was able to save my tooth. I had a crack tooth and Bainbridge Dental took me in right away. We were able to save my tooth without oral surgery. I want to commend Dr. Dhir and his team for taking care of me and saving my tooth. We’re glad everything turned out OK. Anyone with a dental emergency knows how stressful it is, that’s why our office doors are always open for dental emergencies. I got a hairline crack on one of my tooth. Is this an emergency? Should I make an appointment to see a dentist?